Could this advice help you win our Composing Competition 2019? The Pianist composing competition is underway, and entries are already flowing in, but the deadline of 2nd November still gives you plenty of time to gather your thoughts and put them on paper. If you’re unsure how to start, if you haven’t written music before but would like to give it a try, perhaps the ideas below will help in shaping your ideas. What standard are you writing for? This will often be determined by your own level of ability as a pianist. It need not be – many composers have written music they couldn’t possibly play themselves – but especially if you lack experience as a composer, it’s important that you can try ideas out at the keyboard so that you know what works. Perhaps you have someone in mind who will play it: yourself; a pupil; a friend. Take their abilities into account as you write. What is your style? 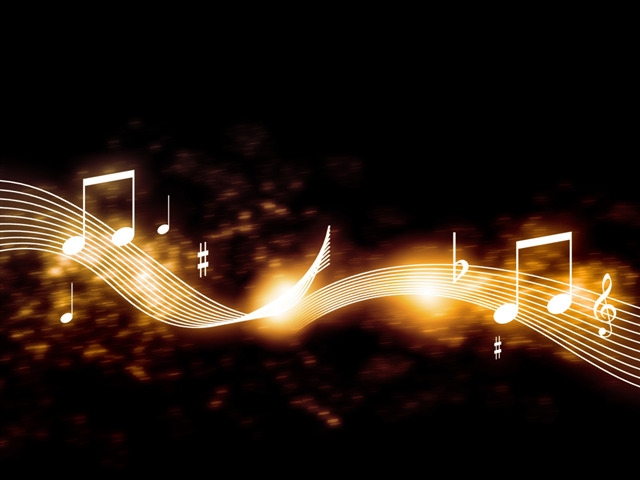 Do you prefer a good melody or do harmonies or rhythms give you more pleasure? You may like to consider dance styles as a basis for your composition, such as a sarabande or a gavotte, or more recent 19th and 20th-century styles. A waltz, polonaise, or a Latin tango. What form will you use? This is paramount. Player and listeners alike should be able to feel that your piece has a distinct structure. Simple binary (A-B) and ternary (A-B-A) forms are fine for shorter pieces. Longer forms such as variations or rondo still contain the kind of repetition and patterning that will give your piece a distinct structure. For more advanced composers, sonata-form and counterpoint can be given a modern ‘twist’ and can be fun to play and to listen to. Purely abstract, atonal or modal tonalities and minimalist compositions can challenge both composer and performer alike. Be ready for inspiration to strike. It won’t always happen at the piano. It’s often when doing unrelated activities – going for a walk, or having a shower – that the key to your creative mind is unlocked, a tricky harmony solved or a melody found. Try to keep pencil and paper handy for such moments (also when going to sleep). If you can, it often helps to leave such ideas alone for a couple of days and see how you feel about them when you return to them. Are they still as pleasing or as original as you first thought? Find a few quiet moments alone and use your imagination. Some call this internalisation, and it can give you ideas about the overall shape, however vague this may be at the time. Actually writing down your ideas can be difficult at first. We are far more used to reading notation than writing it. But this will improve with practice. If composing is a new experience for you, begin by jotting down a few rhythms. Believe it or not, it’s much harder to write down rhythms than notes. Sort out the metrical structure, the time-signature and rhythms first, and the notes are more likely to fall into place. Your ear is your most reliable guide. ‘Play what you hear’, say the jazz improvisers, not ‘Hear what you play’: this is excellent advice. A piece rarely ‘writes itself’ or comes to the composer in a self-contained entity, whole and complete. More commonly an idea needs to be worked out, and then through, with small changes, edits and improvements until you are entirely satisfied. The pace can be quite brisk when you’re in the throes of composing. You’ll hear notes or chords in your head, and you’ll need to commit them to paper quickly. Grasp the moment as quickly as you can – or you will lose it! If you are writing by hand, try to inscribe the notes at a slightly smaller size than you read them in print, for the sake of clarity. Make sure that the note-heads are clearly lying between or written through the ledger lines. A soft 2B pencil lead gives good results. Don’t overcomplicate things. If in doubt, stick to simple keys and straightforward rhythms. Your piece should feel pianistic. You want players to be drawn to the piece, not to run away from it! Your writing should lie comfortably under the hands, avoiding awkward stretches, leaps or fistfuls of notes. Remember about the required length, too: no more than 64 bars. Editing and presentation need careful attention. Once you are fully satisfied by your composition, turn to the editing process. Avoid littering your score with phrase and dynamic markings: use them sparingly, and allow the performer space to interpret your piece for themselves while being clearly directed by your intentions. A clear, well-organised and neatly spaced manuscript is just as acceptable as a software-notated piece. It’s worth reiterating that a well-presented piece will invite and encourage performers rather than putting them off. Find a friend: ask them to read through your piece, to test that it is correctly notated and that your intentions are clear. The ultimate test is to justify every note, dot and mark on the paper. Ask yourself: Why did I choose that key? Did I really mean that note/chord? Why is forte there but not there? Have I made the right choice of tempo? Do I need quite so many notes? Your composition will need to please you before it pleases others.